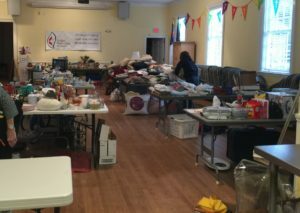 The United Methodist Women’s Fall Yard Sale on November 18, 2017, was a success! The Fellowship Hall, classrooms, and outside tables were overflowing with bargains. We would like to thank all the people who came out and supported the yard sale. Money raised will help local charities.